It's always good to start off a relationship with honesty. 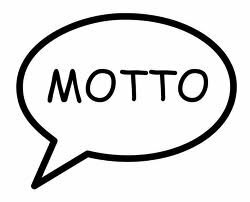 I guess you could say our motto at Counseling EDGE is ... Stop waiting for change to happen on its own and instead, start consciously creating the life you want. We live in world that tries to hide from the truth. People are looking for answers everywhere but the one place where the answers actually lie: within themselves. 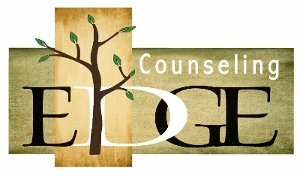 Counseling EDGE is dedicated to helping individuals brave enough to look directly at their lives. This requires honesty, particularly about the things you have control over. Nothing more but nothing less. We challenge and dare you to start walking what you are here to walk. Counseling EDGE knows you are a unique person constantly defining yourself and the world around you. You have good days followed by challenging ones when nothing makes sense. It is the hard times that can show you who you are if you step back and objectively look at your life. Unfortunately, that is easier said then done, and that is why Counseling EDGE was created. By providing a range of services designed to help you move away from old unhealthy patterns, Counseling EDGE helps you begin the process of change. Counseling is like a music lesson. You only pay for a very limited amount of time. But during that time, you have the sole attention of the licensed counselor or therapist. They will listen to you as they assess and diagnose your situation. Later, appropriate interventions will be discussed and implemented based on your personal wants and needs. The real change, however, occurs when you start applying what you have learned. The result: You become the hero of your story and you understand how to intentionally shape your life. This is what we do. This is Counseling EDGE. Receive tips and promotions from Counseling EDGE that help you take charge of your life. Join the growing number of people saying YES to change. We believe in professional excellence and hold ourselves accountable to the highest standards. Below you will find licensing boards and professional organizations we associate with.